These kitchen helpers will make your life easier! Cooking can be fun, but it can get pretty tedious. From prepping food to washing up, these kitchen helpers are designed to make your journey to being the next master chef that much easier! These 5-blade scissors will revolutionise your slicing game! 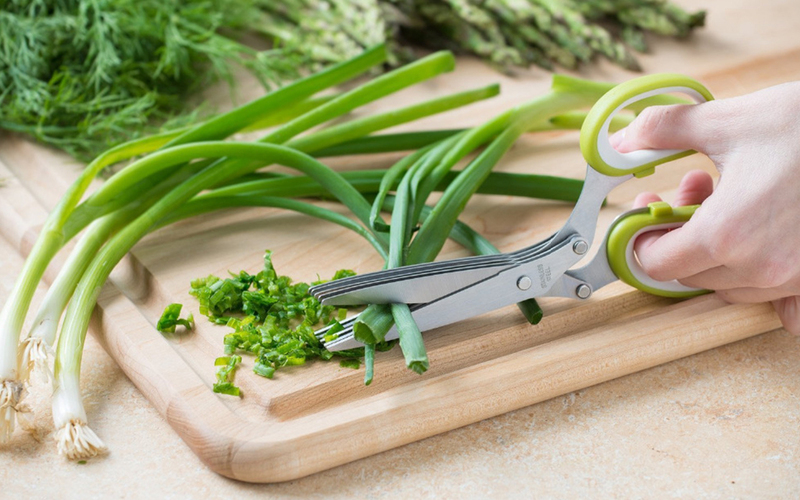 Just line up your spring onions or parsley with these scissors and snip away! What you’ll end up with are some evenly chopped herbs, ready to garnish any dish with. Clean them by sliding the ‘comb’ provided along the blades, a genius invention that cuts your prep and cleaning time in half! Get this at $11.90 at Crate and Barrel. 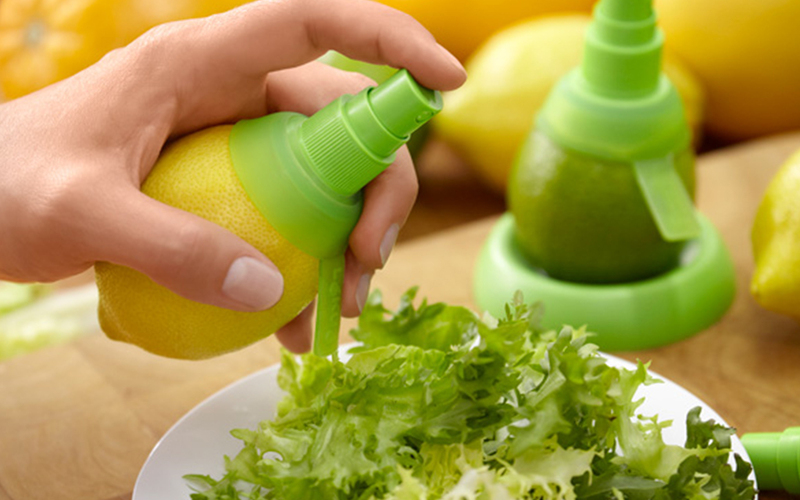 Tired of seeds falling into your salad whenever you sqeeze a lemon over it? Well, this little spray is just the thing you need for some fuss-free flavour! Simply cut a small portion off one side of your citrus, pierce the product in and spray away! Purchase this on Amazon for only $5.99. Ever have those pesky spots on your toast with no ingredients on it? Well that problem is going to be a thing of the past with these square egg rings! 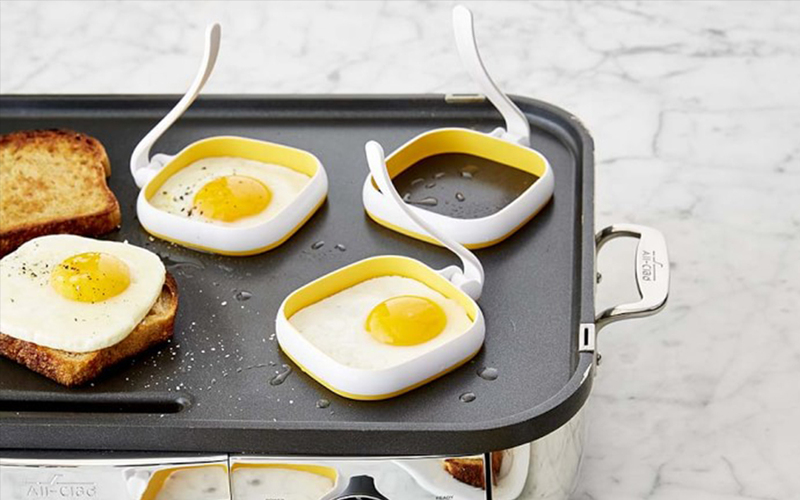 Place these on your frying pan and crack your eggs in the middle to achieve perfectly square sunny side up eggs! Purchase these in a pack of four at $19.95 over on Williams Sonoma. 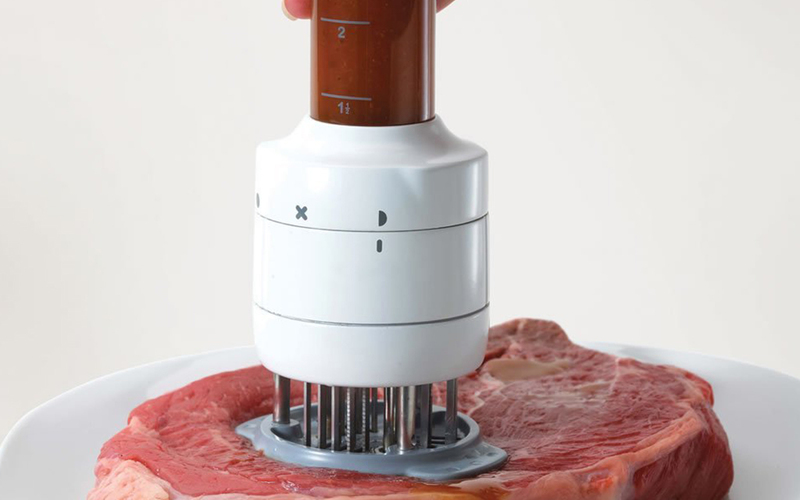 This contraption will both tenderise AND inject marinade into any meat of choice! The built-in needles are made of top quality stainless steel, making it extra safe for you and your family. This tenderiser needle not only adds flavour to the meat, but also speeds up the cooking time. Purchase one of these over at Amazon for $24.99! If dicing and slicing ingredients while prepping food just isn’t your thing, this easy-to-use 4 in 1 chopper is going to be a life saver. 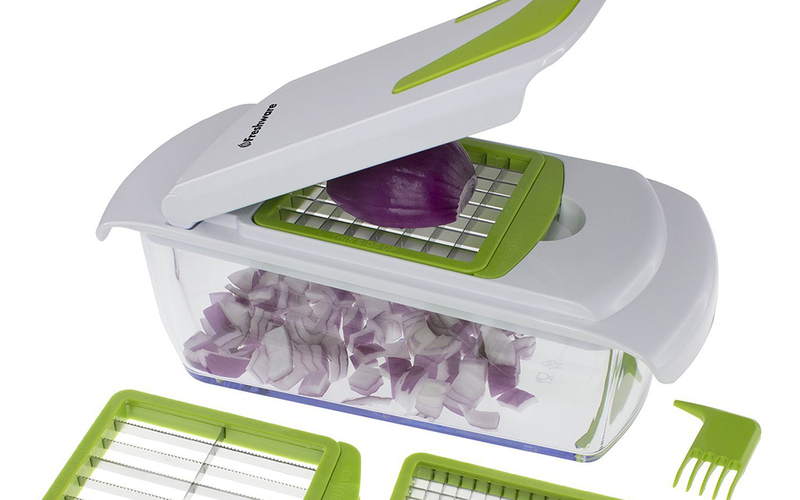 The chopper comes with 3 inter-changeable stainless-steel blades, a storage container for chopped ingredients and a tool for convenient clean-up. 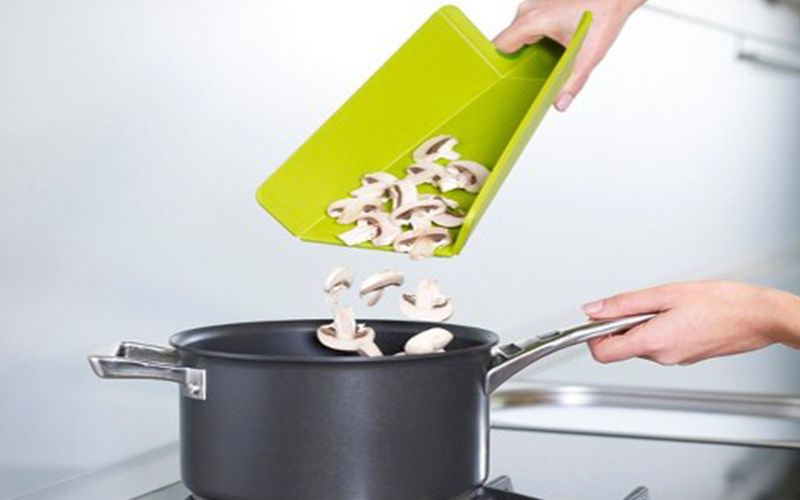 Simply place your ingredients in between the lid and blades and press! Before you know it, you’ll have a container full of ingredients ready to go into your pan. Get this for only $16 HERE ! 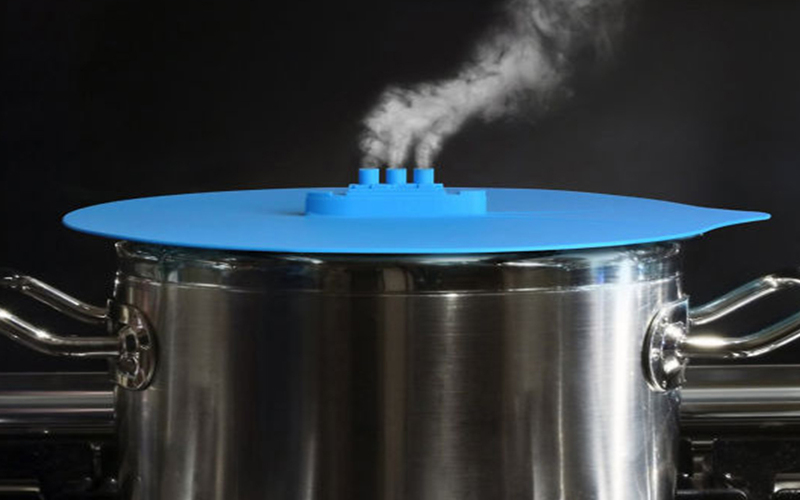 Ever faced the problem of your pot boiling over and making a mess on your stove top? Well, here’s a useful and fun way to stop that extra clean up. 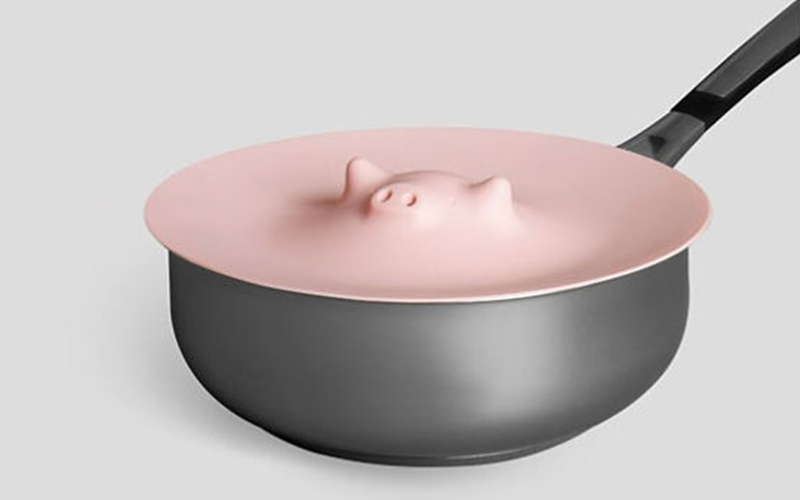 These adorable steaming lids will cover your entire pot, allowing the food inside to fully cook while still releasing steam from the holes in them. You can find these heavy duty silicon lids HERE and HERE! Cooking with corn can get really tricky when it comes to removing the kernels from the cob. 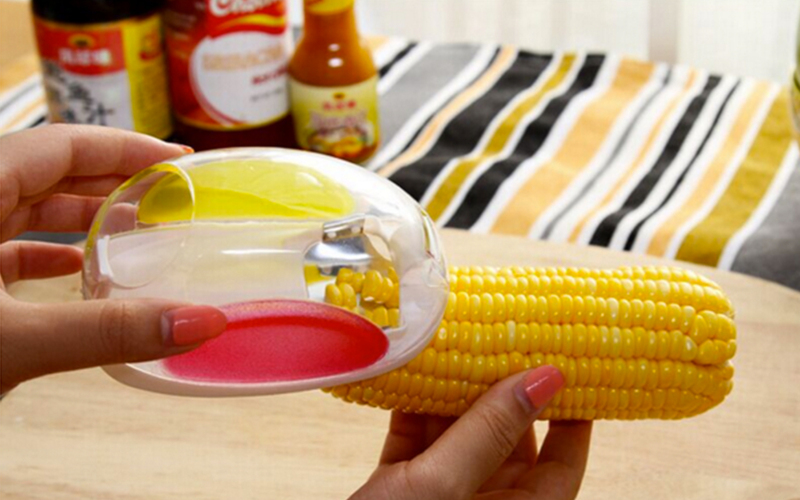 This grater is designed to help you with easy separation so you can add fresh corn to your meals! Get it from Ali Express for less than $2 ! If your knives are always too blunt to cut through food, this knife sharpener will make that problem a thing of the past. 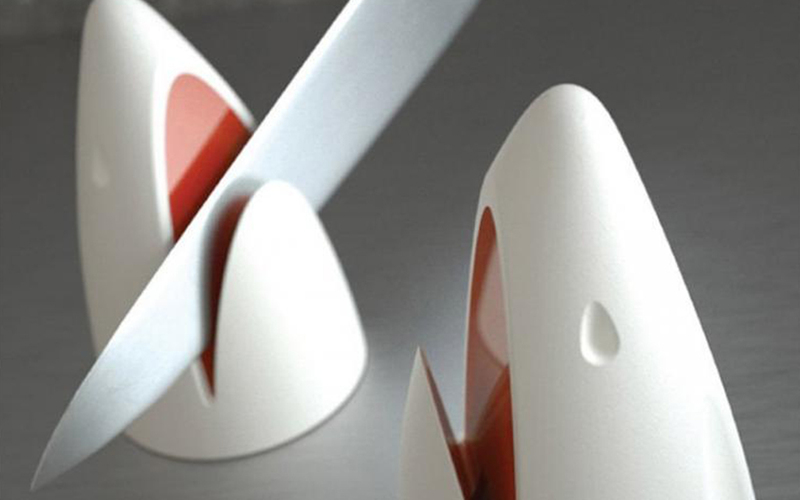 Shaped like a shark’s mouth, this knife sharpener allows you to sharpen your knife with just one hand. A few strokes through the jaws of this shark and you’ll be slicing away in no time! Purchase it at Odditymail for $25! 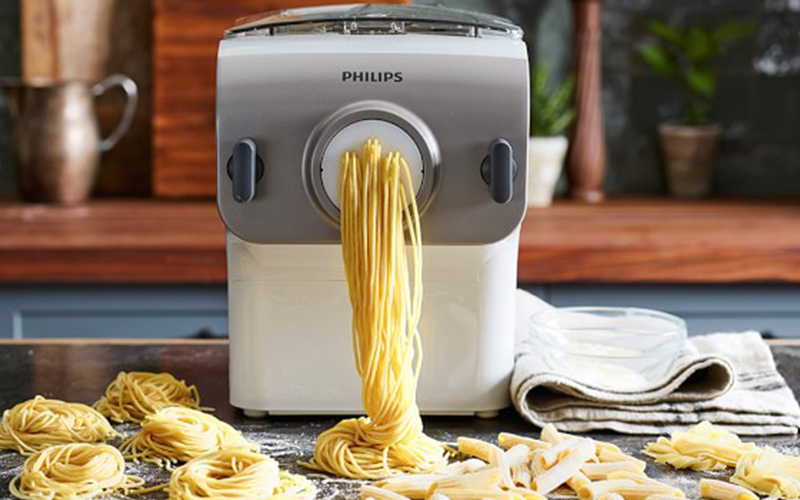 The Philips Pasta Maker will serve up fresh pasta to you as and when you please. It can produce up to 4kg of pasta in just 5 minutes! The pasta maker comes with 4 default shaping discs for Spaghetti, Penne, Fettuccini and Lasagna. You are not required to pre-mix the ingredients before putting it into the machine. Just add flour, oil and eggs before choosing the programme and the machine automatically mixes, kneads and extrudes in one go. Get this Italian approved pasta maker any any Courts, Best Denki or Philips store near you! It’s common to see people spilling food around their stove top when transferring ingredients from the chopping board to the pot. 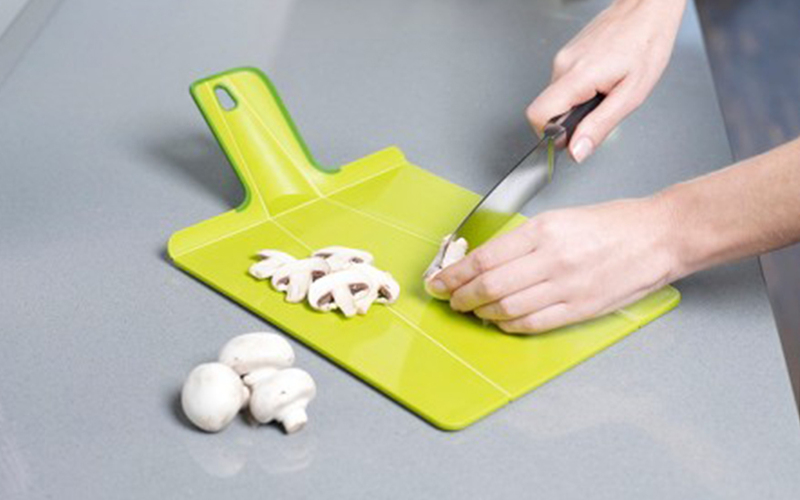 That’s why Joseph Joseph has introduced a folding chopping board, making it easier to slide food into your pan with zero spillage! Check out the different sizes at Joseph Joseph!